A domestic violence assault charge can result in misdemeanor or felony charges. If you are convicted, you could face significant jail time and monetary fines. You may even face a restraining order preventing you from contacting a loved one. For this reason, if you are wrongly accused of spousal assault, you may want to contact an attorney. A sad fact about domestic violence assault is that many individuals are falsely accused of the crime. In addition, charges may be exaggerated as emotions may be heated. 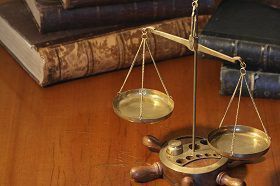 An experienced attorney can help defend your case by taking an objective look at the allegations brought against you. A domestic violence charge is very fact-specific and you will want to talk to an attorney to learn your options and defenses. There is a wide range of penalties for domestic violence assault. Generally, the penalties for a simple assault and battery can be a Class 1 misdemeanor. This can carry a one year jail term and $2,500 fine. However, for repeat offenders, someone could face a Class 6 felony charge and up to five years in prison. The existence of any of these aggravating factors can increase the prison term you face to up to ten years, and also significantly increase the monetary penalty.